Time once again to check in with a name that should be familiar to frequent readers of the blog. 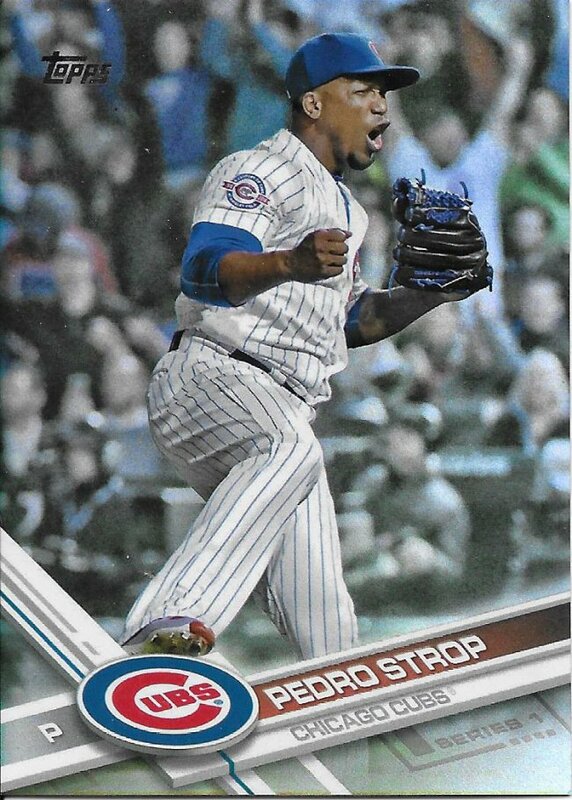 Bill, known as minibbcards on the Trading Card Database (his want list is found here) sent me a huge stack of cards earlier in my World Series Cubs pursuit, and I was able to turn that into 8 separate posts over the course of a year (because I’m slow). This time I’m slow in showing off the second part of our latest trade. Here’s a link to the first part of this trade, which was posted in November. I’ve had longer gaps, sadly. But the good news is that I’m not taking a full year to finish off this trade showcase, because this is the second of two parts. I did it! Sliding into another completed trade! 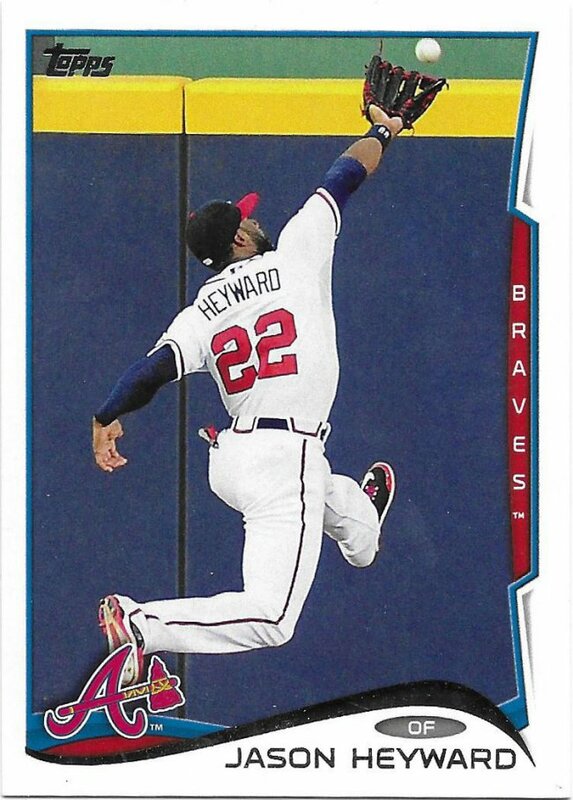 Leaping at the opportunity to close out another set of scans! 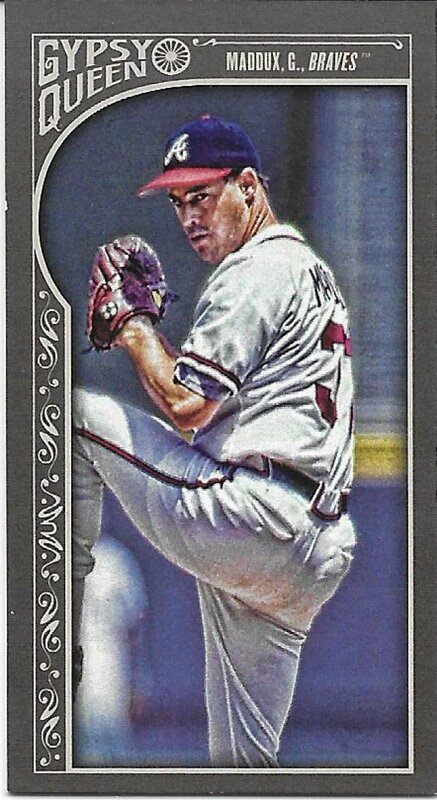 Pumped to add a rainbow foil to the collection, even if it doesn’t scan too well. Out of descriptors based on the picture. 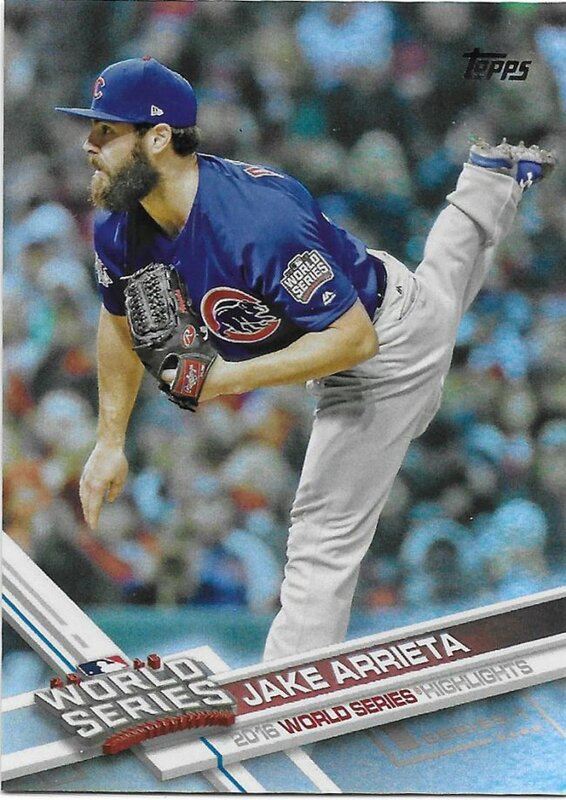 Here’s that other rainbow foil I mentioned. Yikes, those printing pox are contagious. Someone needs to make a vaccine for that. GQ is the hot thing for now and I haven’t touched it so far this year. 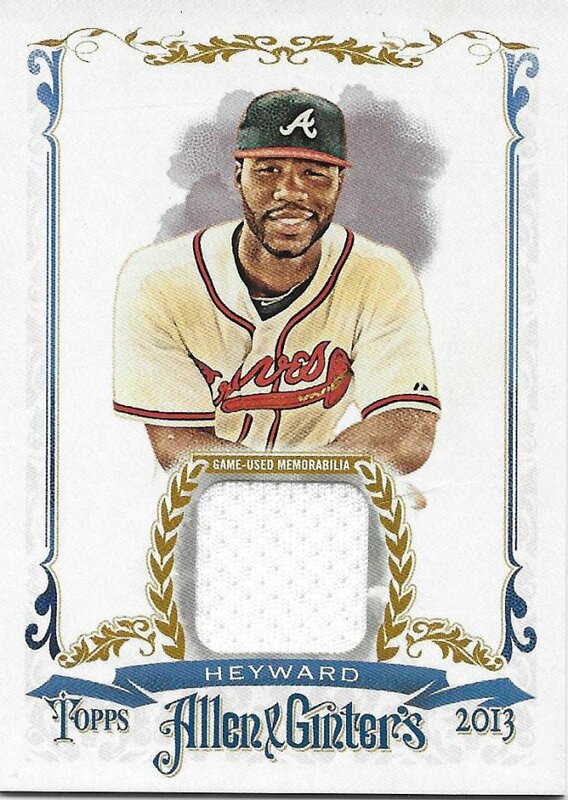 Maybe I’ll buy a box at the National if it’s part of the pack redemption program. 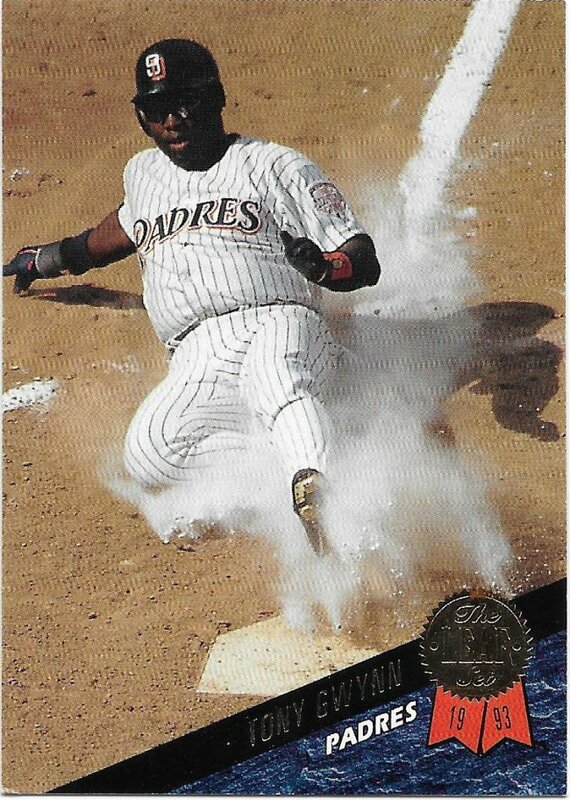 Sliding into another…oh wait…I already said that. Crazy that I didn’t have this already. Not so crazy that I didn’t have this. I am happy to accept any checklists that feature players I collect (I’d prefer if they were ones I don’t already have, of course). 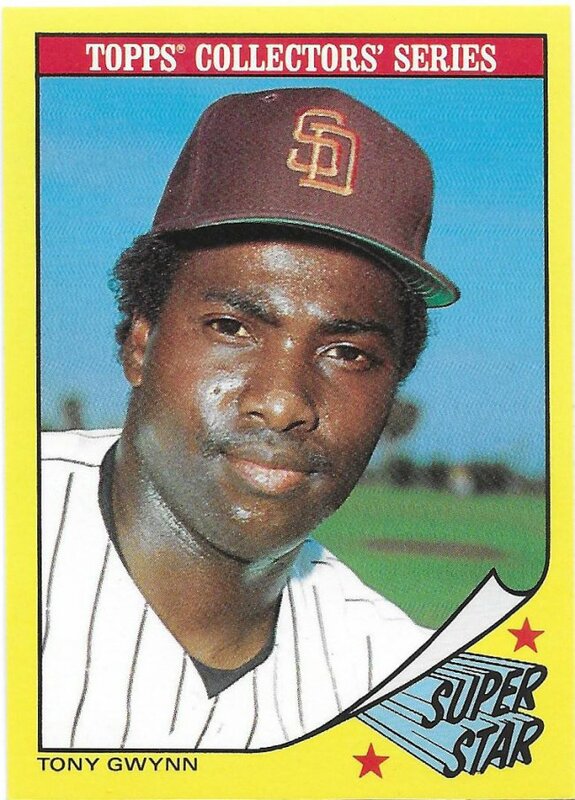 I had to do a little research on this one to find out it’s one of the Woolworth’s cards from the mid-80s. I’m very familiar with the K-Mart and Kay-Bee sets, but there were no Woolworth’s near me growing up so this was my first exposure. To end things off, we have what some may consider the star of the trade. 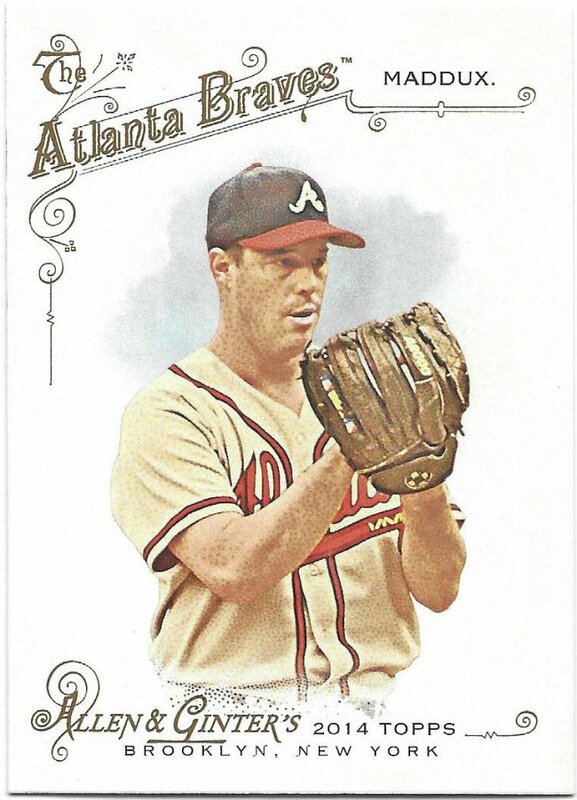 Relics are so prominent in the hobby and yet elusive. It’s really quite something to get one in a trade. Speaking of, I imagine that Bill and I will trade again in the future. I’d have to restock my minis first, of course. Maybe when 2019 A&G comes around? We shall see. For now, I’ll say thank you again for what was sent this time! 143 left to show before taking Sportlots delivery. 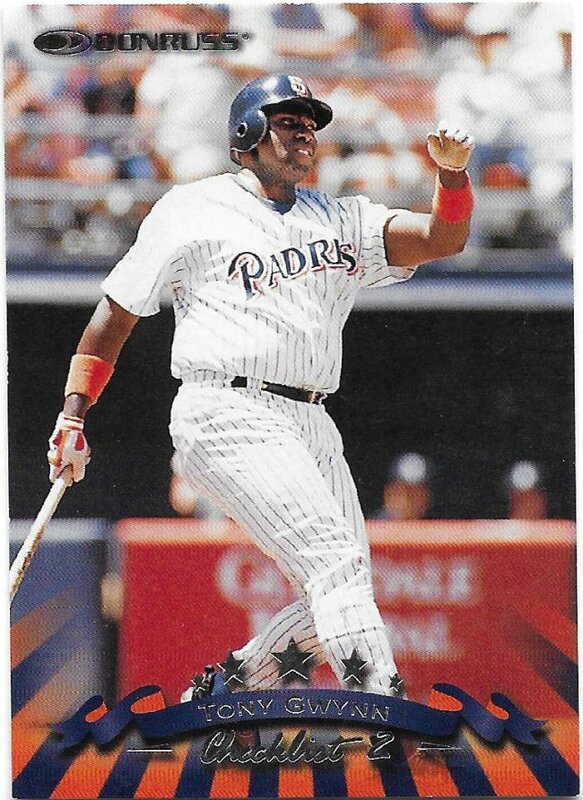 This is the third post this evening featuring 90’s Gwynn cards. I love it!